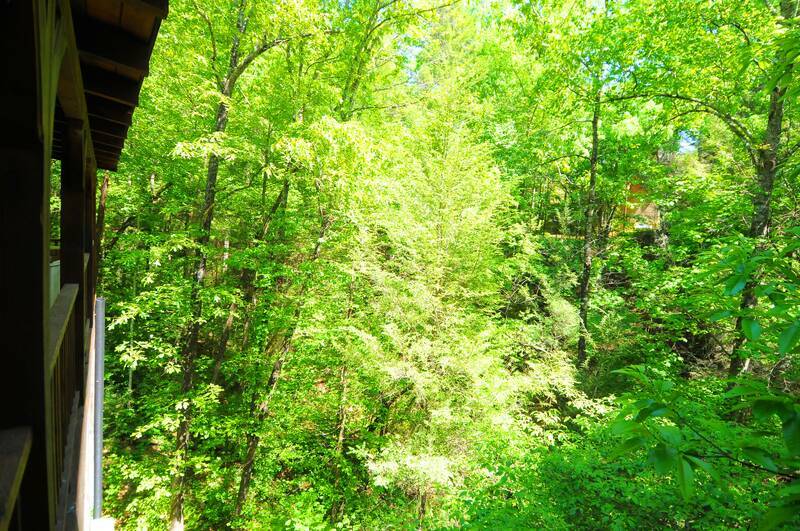 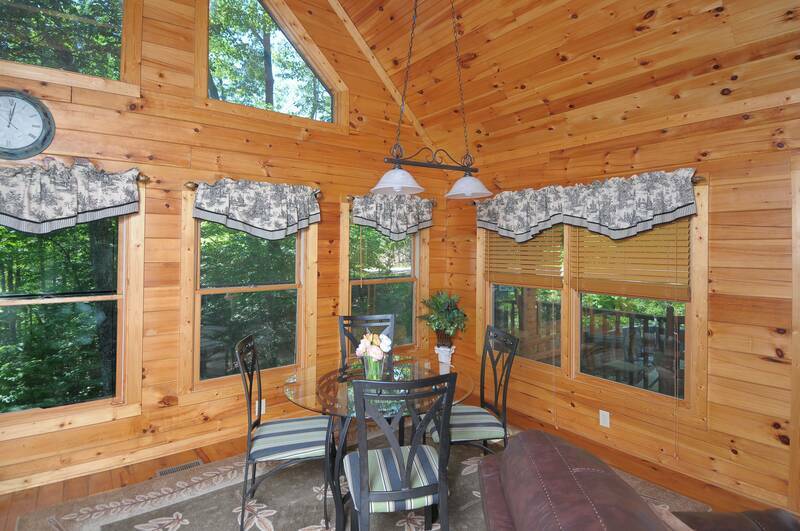 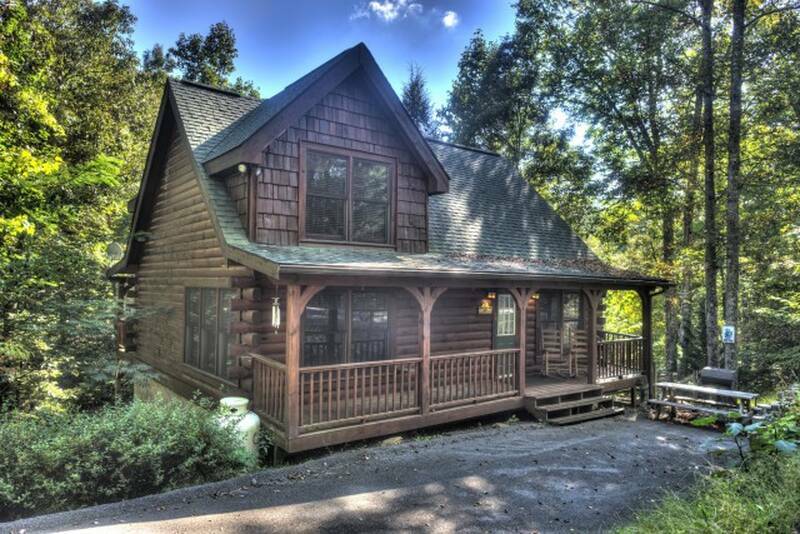 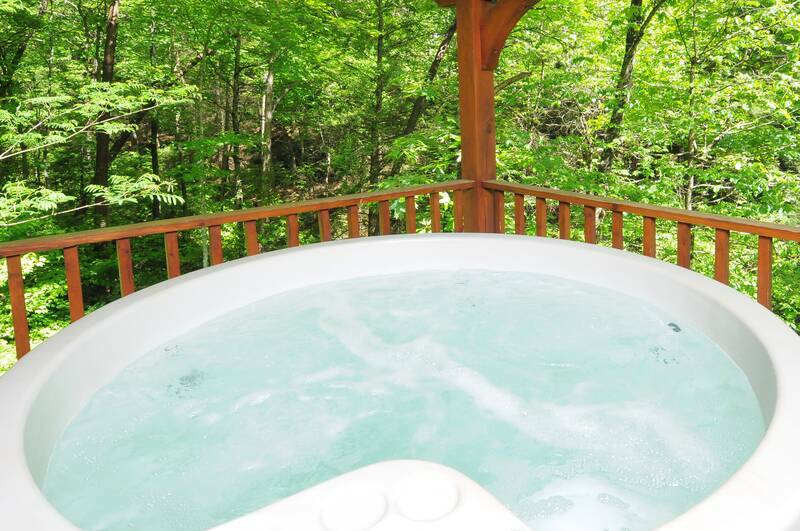 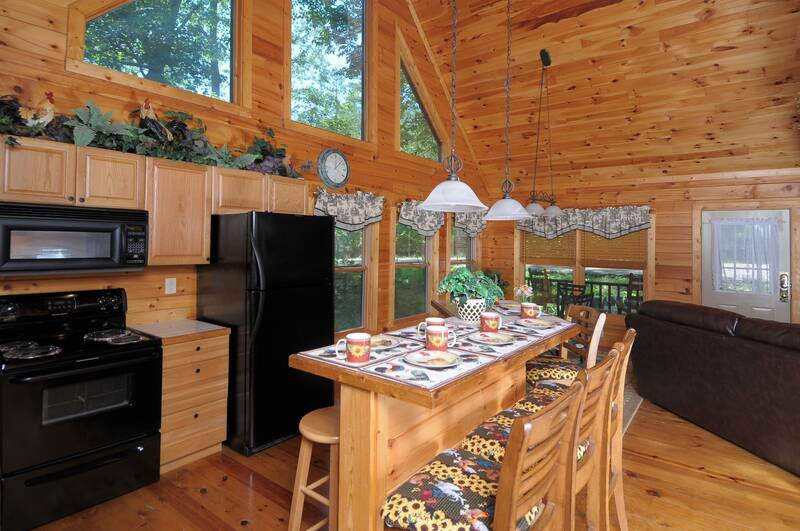 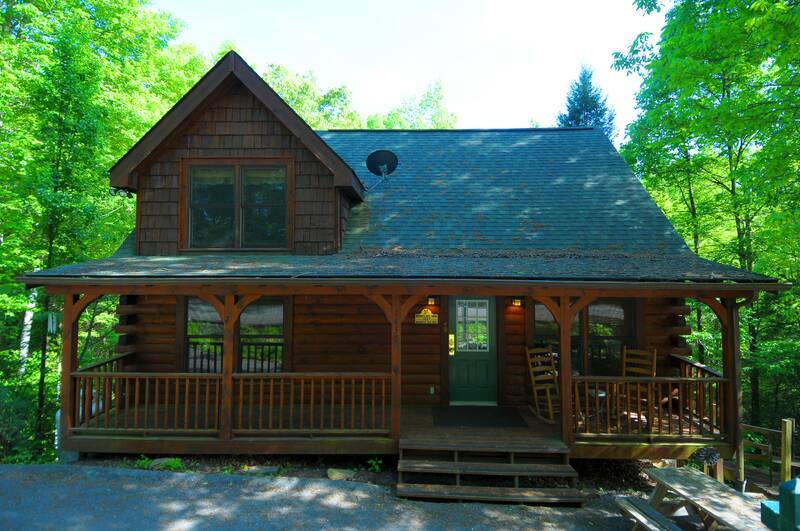 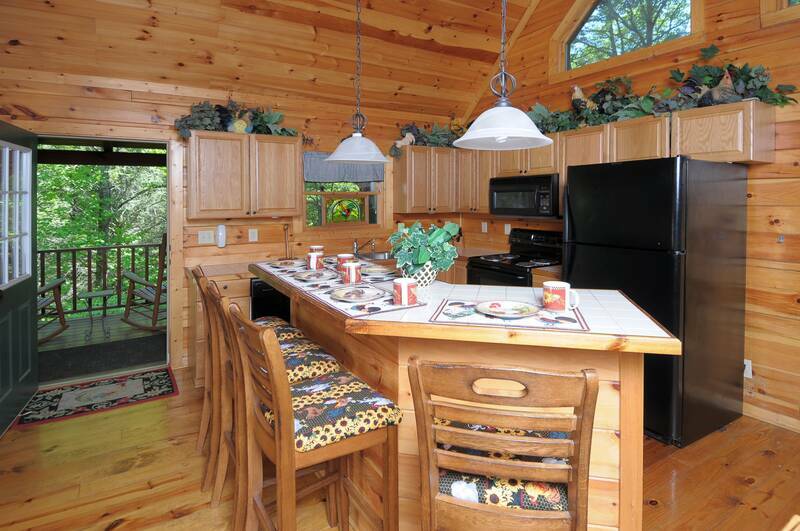 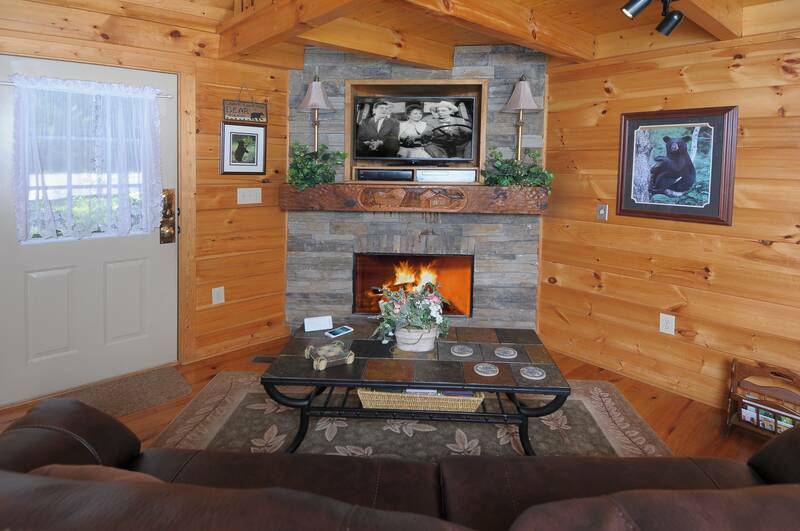 Nestled Inn is a spacious Gatlinburg getaway destination for 2 people (1 bedroom, 1650 sqft). 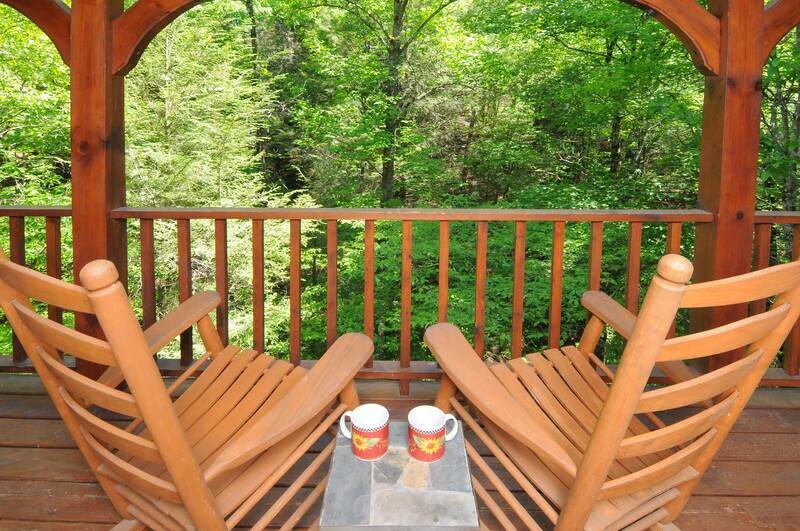 In front of the cabin, there is a long deck facing the street along with 2 wood deck chairs. 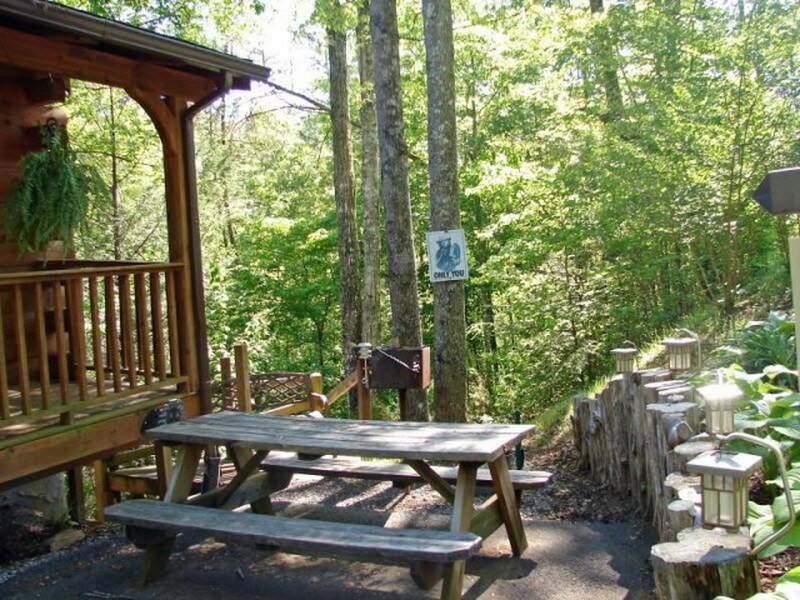 There is a picnic table right by the front deck that makes a great place to eat your breakfast or lunch outside. 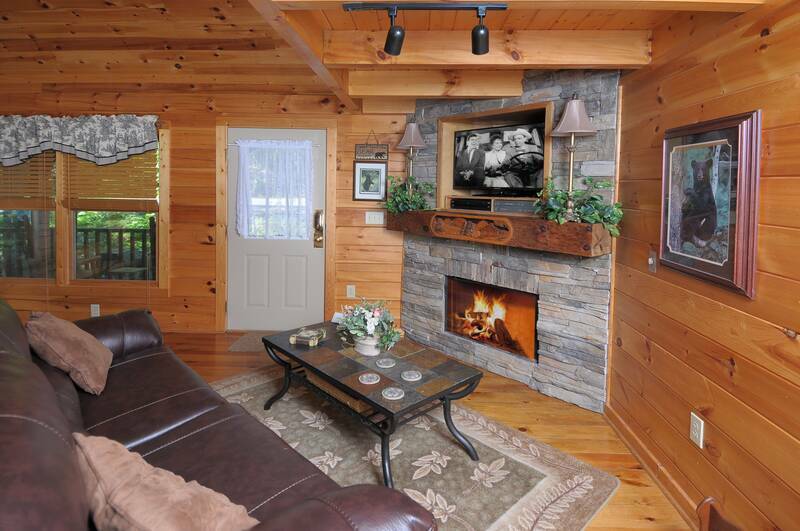 Anyone who is looking for a quiet and peaceful place to enjoy private time with your partner should discover Nestled Inn. 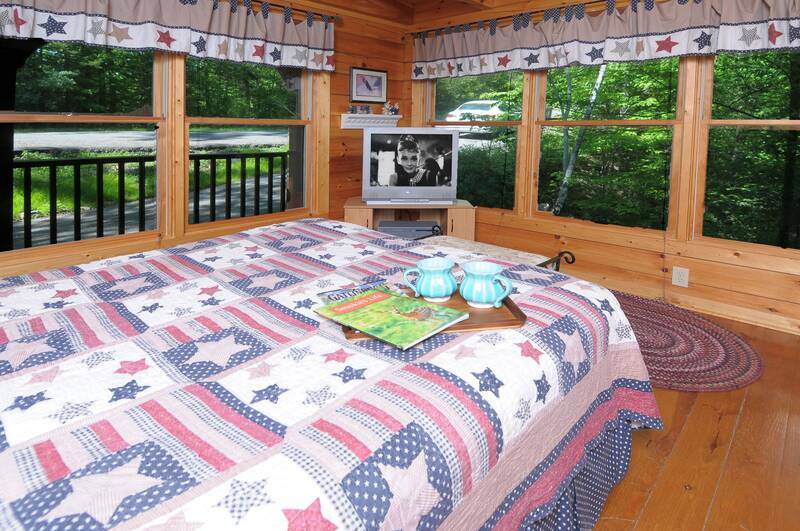 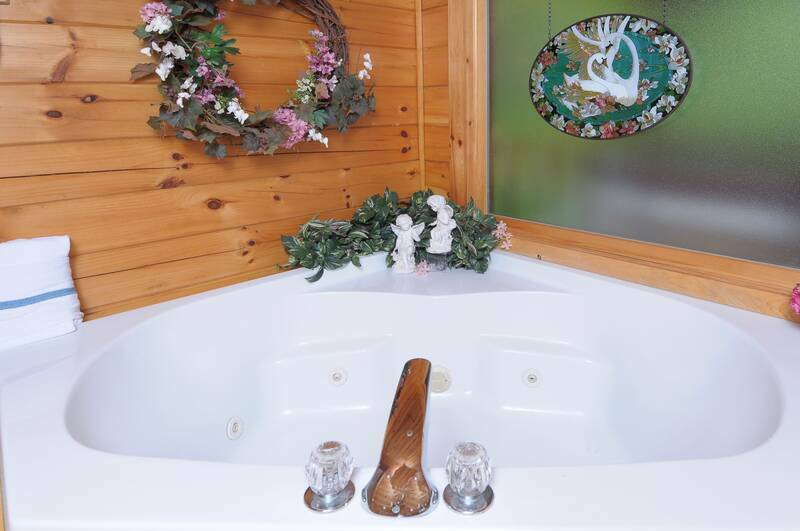 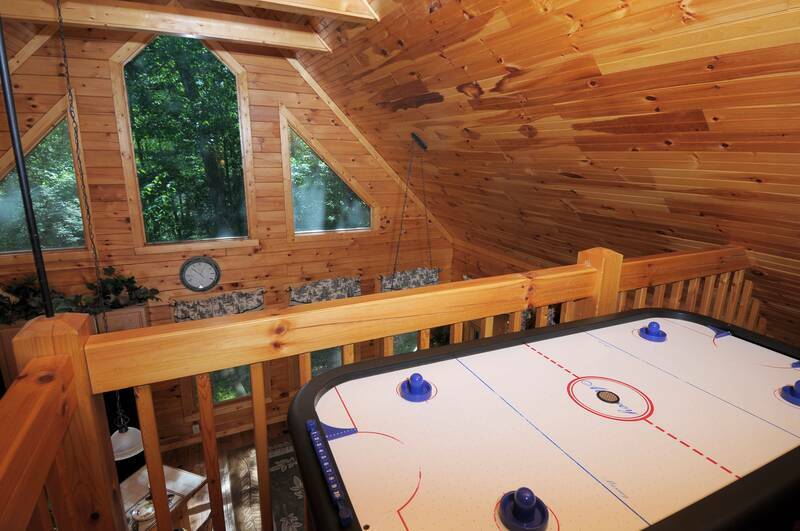 Please take a look at this cabin’s bedroom photo. 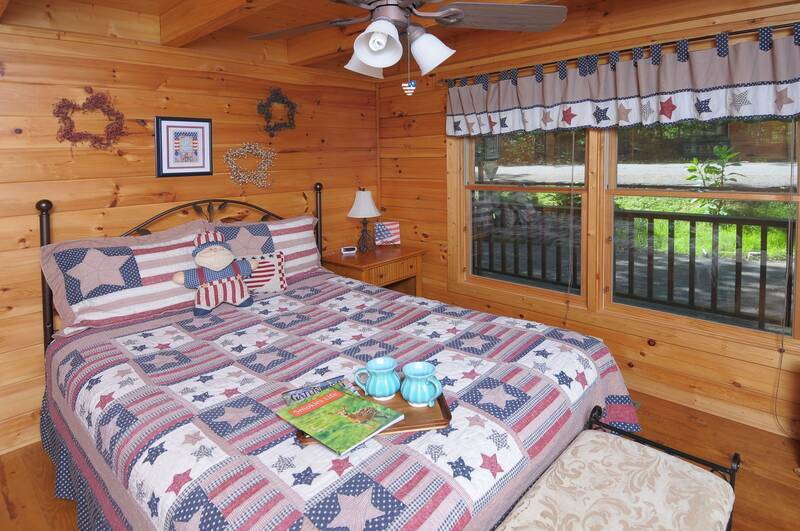 Two sides of the bedroom wall feature large windows, which let the beautiful moonlight shine in, creating romantic moments. 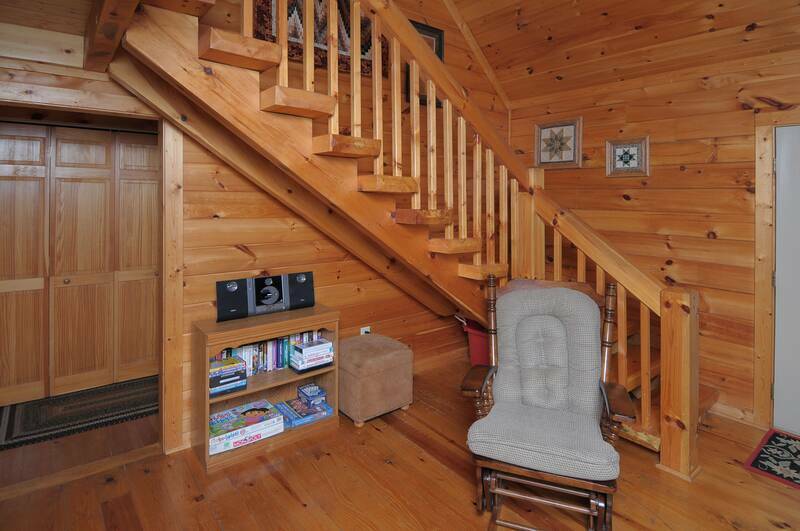 In the morning, sunshine will fill the room, filtered through beautiful trees adjacent to the cabin. 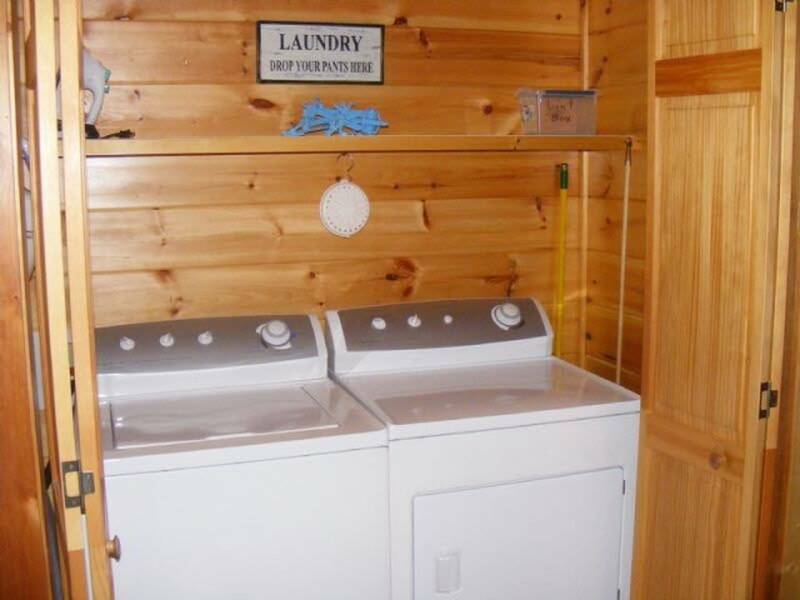 When was the last time you woke up before your alarm clock? 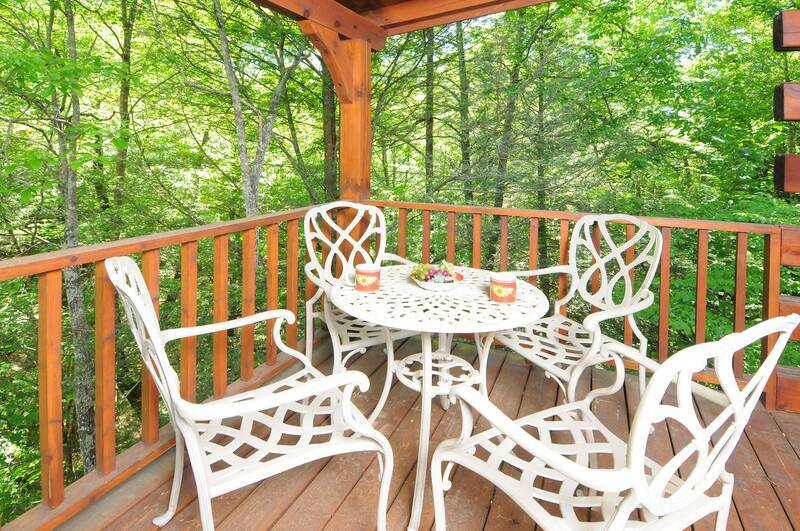 Stay here for a night; you will hear birds happily greeting you early the next morning. 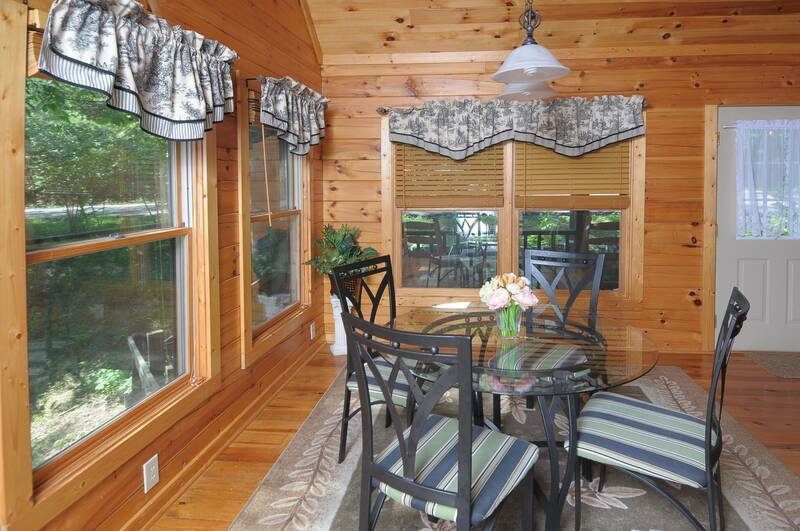 Open the windows and say hello to them!